John Godber Company & Theatre Royal Wakefield today announce the extension of Scary Bikers due to public demand. 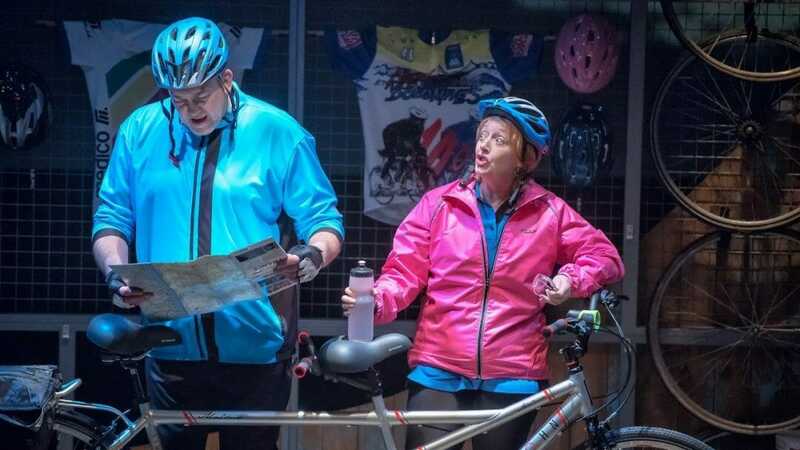 The production starring the BAFTA Award-winning duo John Godber and Jane Thornton is currently running at Trafalgar Studios and is now booking until Saturday 4 May. With themes of finding love after loss and the ongoing impact of the Brexit vote, Don and Carol travel across Europe as they reconcile the past, debate the present and worry about the future.